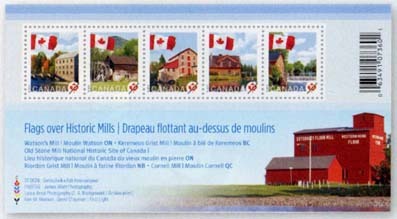 On January 11th, 2010, Canada Post began issuing a series of five stamps commemorating historic grist mills around the country. These beautiful mills once figured prominently in everyday life, providing an essential link between the farmers and industry. 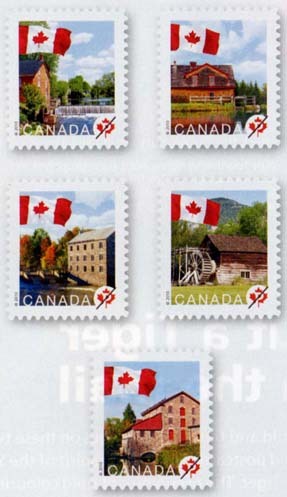 For over 200 hundred years, a region’s grain was brought to these mills to be ground into flour. Stone-ground flour is still recognized by many as being superior baking flour with added nutritional value.